It was 1989. The scene: Los Angeles’ Shrine Auditorium. The host: Billy Crystal, who then was starring in films such as Memories of Me and When Harry Met Sally. The event was the 31st Annual Grammy Awards. George H.W. Bush had recently been sworn in as president of the United States, and the Gulf War would soon be looming. In the last year of the 1980s, pop ruled the Billboard charts but hip-hop continued its rise in sales and its impact on culture. Pioneers such as Public Enemy, Heavy D, 2 Live Crew, The Beastie Boys, Queen Latifah, Big Daddy Kane, De La Soul, Special Ed, 3rd Bass, Boogie Down Productions and more were changing music and the music industry. That night though: Bobby McFerrin, would-be 10-time Grammy winner, won song of the year and record of the year for “Don’t Worry Be Happy.” The song was McFerrin’s only No. 1 hit and had a layer of controversy attached, as it had been used by the Bush presidential campaign in 1988 without the permission of McFerrin. In protest, McFerrin for years removed the song from his concert set lists. The televised broadcast of the Grammys also featured what would become a legendary performance by Whitney Houston — she sang her “One Moment in Time” against a montage backdrop from Team USA highlights of the ’88 Olympics. All of these songs had been released one, two or, in the case of “Push It,” even three years before. Hip-hop by 1989 was going through a transformation. The anger was no longer mostly underground but rather more out front. Public Enemy would release its critically acclaimed Fear of a Black Planet in 1990, and the cracks in the foundation of revolutionary supergroup N.W.A. were beginning to show. Rap was still considered a fringe force, fighting not only for its place at the Grammy Awards but also for acceptance as a respected musical genre. MC Hammer’s massive sales numbers, though, were the exception at the time for hip-hop, not the rule. Rap was still considered a fringe force, fighting not only for its place at the Grammy Awards but also for acceptance as a respected musical genre. It was just that fight and the almost constant controversy surrounding hip-hop that fueled its ascent to being the most popular musical genre in the world. The news started out great. The National Academy of Recording Arts and Sciences (NARAS) had announced that rap would have its own official category. “The excitement was through the roof,” said Jazzy Jeff. “It was validation for the culture.” But when the news quickly turned bittersweet, Russell Simmons and Lyor Cohen of Def Jam Recordings led a boycott of the 1989 Grammys. Joining them were the Fresh Prince and Jazzy Jeff along with Salt-N-Pepa, Public Enemy, Ice-T and others. Def Jam spokesman Bill Adler’s press release said that NARAS was “ghetto-izing” rap. The boycotting group even held a “Boycott the Grammys” party on the night of the broadcast. The “boy who’s bad” refers to his rival LL Cool J. Years later, Moe Dee told The New York Times that he believed a better strategy than boycotting would have been for all the artists to show up and “make our case in that space where the world was watching.” Except, of course, that world wouldn’t have been watching the nontelevised version of the show. 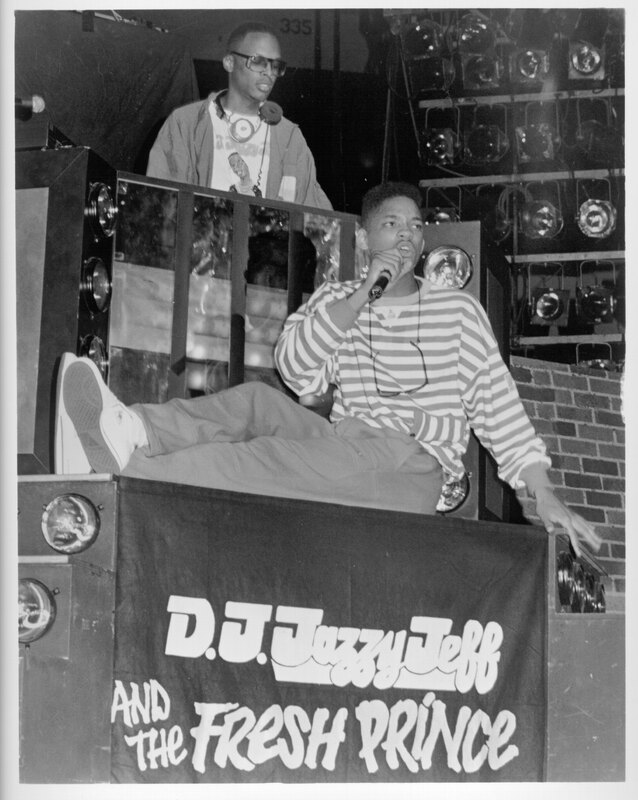 Rap duo DJ Jazzy Jeff and the Fresh Prince perform onstage at Nassau Coliseum on August 12, 1988 in Uniondale, New York. The stance taken by Smith and Townes in 1989 is difficult to imagine now. At the 58th Grammy Awards in 2016, Kendrick Lamar’s To Pimp A Butterfly was nominated for album of the year. And while the album didn’t win, it was a reminder that rap music is no longer a fringe genre but rather the most important and influential music in the world. But for every Kendrick moment, there is another example where what Smith, Townes and others fought for seems to be all but forgotten — like at the 57th Grammy Awards in 2015, where no rap awards were presented on the televised broadcast for the first time in 25 years. Not even a Grammy slight could take the shine off “Parents Just Don’t Understand.” Its success, and how it sparked the duo’s careers and the meteoric rise of Smith as a Hollywood heavyweight, is stunning. Carli recalled shooting the video for the single, which was done in one 18-hour shoot, and then watching the footage with director Scott Kalvert. “Holy crap, the camera loves [this kid],” Carli remembers saying. “He’s so incredibly expressive, and he’s selling the story. I called my boss and I said … ‘You know, this kid is going to be a movie star. I think he can be as big as Eddie Murphy.’ ” Carli then proceeded to call Simmons, who managed the duo at the time, to share her feelings about the budding star. Famously, Simmons told Carli that he might be as big as Malcolm-Jamal Warner, but not Eddie Murphy. Adam Aziz is a writer and publicist living in Toronto. Follow him on Twitter @brokencool.